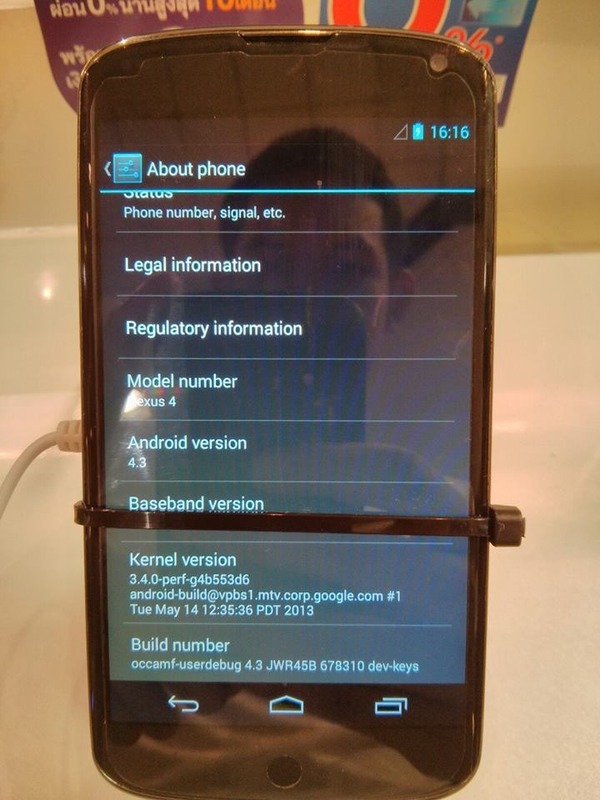 At least some Android enthusiasts were disappointed that version 4.3 wasn't revealed during Google I/O, despite a few leaks prior to the event. 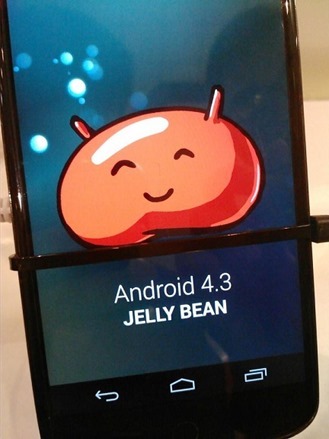 But rest assured that Google is hard at work on the next update to Jelly Bean, as at least one XDA Developers forum poster discovered firsthand. 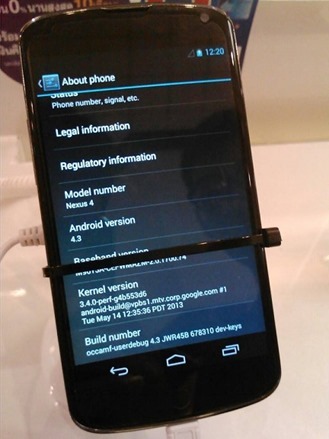 "challeen" took the following pictures at the Thailand Mobile Expo 2013, showing a display model Nexus 4 (allegedly) running Android 4.3. 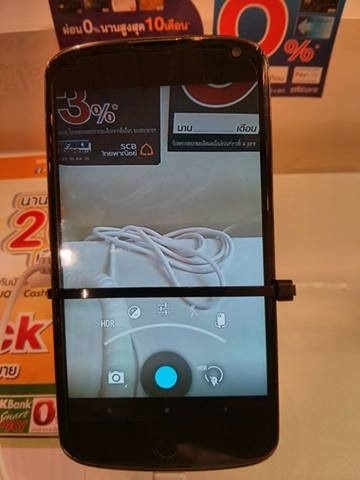 He took some candid photos of both the standard "About phone" settings screen, and what appears to be a new camera interface. The Settings page isn't all that interesting, but the camera interface seems to include a new see-through action area, complete with a new activation ring and fresh icons for HDR, contrast, and rotation. Regular readers will recall that the AOSP camera controls were one of our biggest complaints with Jelly Bean 4.2 - it's good to see that Google is listening to user feedback. While it's always possible that this sort of thing is an elaborate hoax, the fact that two different people have submitted photos of what appears to be the same device lends it a good amount of credence. 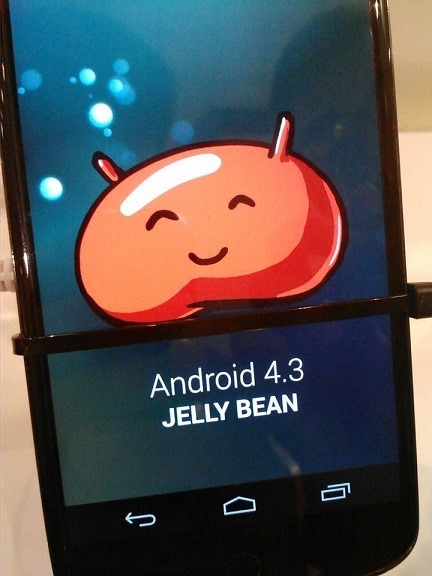 There's still no word from Google about Android 4.3, but it's certainly on the way. Update: A YouTube video (reshot from a private Facebook group) with what seems like the same Nexus 4 was uploaded a short time ago. Thanks to commenter Floris for passing it along. Update 2: Original video. Thanks, Ashish Banerjee.